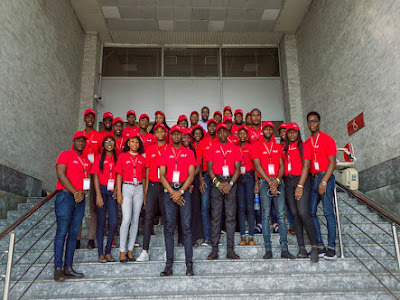 UBA launches empowerment program for students – United Bank for Africa (UBA) has introduced ‘UBA Learn’ targeted at helping students achieve all round academic success. The product, an online Learning Platform for students powered by Roducate, was launched yesterday, with particular emphasis on helping students within the age range of five to 16 years and 17 to 24 attain academic excellence, while ensuring that the parents and teachers keep track and monitor their ward’s educational developments and performance. UBA Learn is accessible online, through a downloadable mobile app and USSD (*919*33#) and is open to both existing customers and non-customers. Intending customers can have account numbers automatically generated once they enroll on the platform. The platform features academic curricula ( WAEC), NECO, Continuous assessments and tests, financial education, learning/fun games, etc. UBA Learn was carefully conceptualised to suit a niche focus of our customers who are mostly students; because more than anything, we are a bank that is particularly passionate about the growth and development of youths especially as it concerns their academic growth as is evidenced in the plethora of campaigns and Corporate Social Responsibility Initiatives (CSR) targeted at helping them find their paths in life, e.g. Read Africa Initiative, Campus Ambassadors, National Essay Competition among others. said Anant Rao, Group Executive, Digital & Consumer Banking.